When it comes to natural beauty and elegance, nothing compares to real wood. Hardwood flooring is a beautiful, natural, sustainably harvested and completely safe flooring option for your home that will last for decades. The classic look of hardwood brings character and warmth to any space, offering design and style options that few other floors can match. 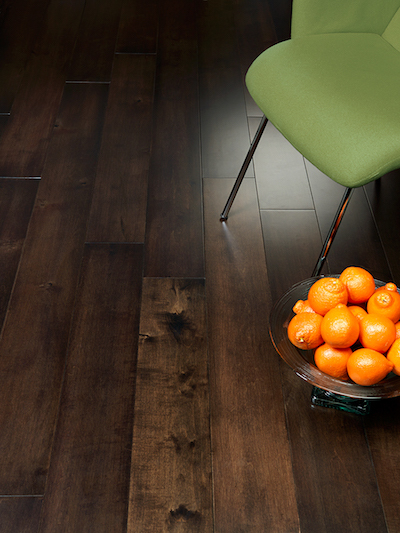 That’s why so many other flooring products emulate the look of natural hardwood. It's also one of the most environmentally sustainable products on the planet. Trees absorb and store carbon dioxide and release oxygen into the atmosphere and are major contributors to improving air quality. Forests also provide a living habitat for some 70% of the world’s species. Fortunately, a substantial portion of domestic hardwood flooring comes from responsibly managed forests – over 166 million square acres in North America alone. Look for the Forest Stewardship Council seal for products that have been certified. Even over the course of its lifecycle, solid hardwood floor can also be sanded and refinished several times, thereby extending its life considerably. 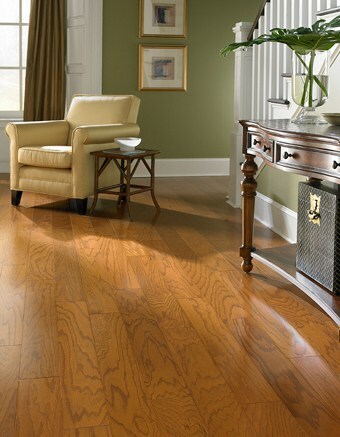 Engineered hardwood floors can also be refinished, just not as often. A typical solid hardwood floor features little more than wood, stain and a wear layer (urethane or aluminum oxide are the most popular); you can't get more natural than that. The Forest Stewardship Council seal certifies wood has been harvested from sustainably managed forests.